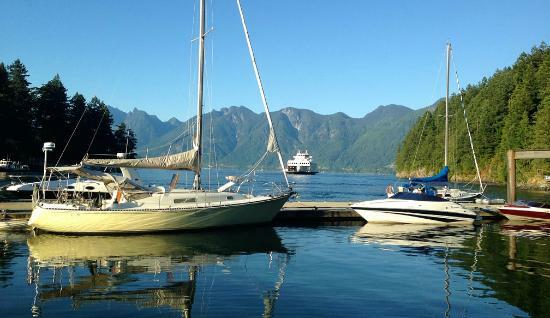 The Union SteamShip Marina is located approximately 8 nautical miles from the city of Vancouver, B.C. When entering Snug Cove stay to the south shore on you port side. The Union SteamShip Marina is past the Government Dock, south of the ferry dock. Please check on VHF 66a for slip assignment. 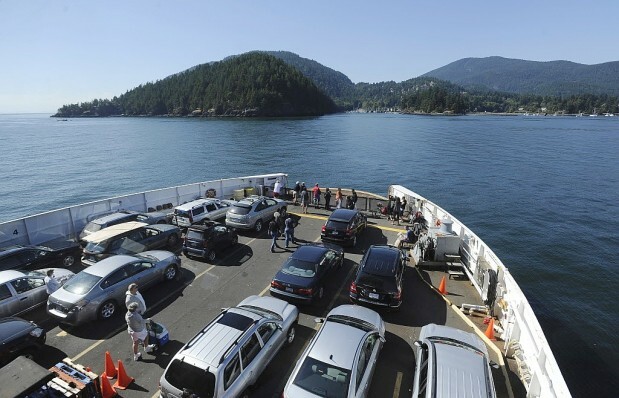 It is a 20-minute ferry ride (5.6km/3 nautical mi) from the Horseshoe Bay ferry terminal in West Vancouver, BC to Snug Cove on Bowen Island. The tickets purchased in Horseshoe Bay are a round trip! Horseshoe Bay can be reached by public transportation. The West Vancouver Blue Bus numbers 250 and 257 leave from Downtown Vancouver, and West Vancouver, at regular intervals to Horseshoe Bay. BC FERRIES The Bowen Island ferry, Queen of Capilano, leaves Horseshoe Bay between the hours of 6:00 a.m. to 9:35 p.m. Visit BC Ferries for an up-to-date schedule. Please note, ticket sales will end ten minutes before the scheduled sailing time for both vehicles and walk-on passengers. Another way to get to Bowen is through the Bowen sea taxi or Cormorant water taxi, departing from either Horseshoe Bay, Coal Harbour or Granville Island. Click here to find out more about the Bowen Sea Taxi schedule, or here for cormorant water taxi.